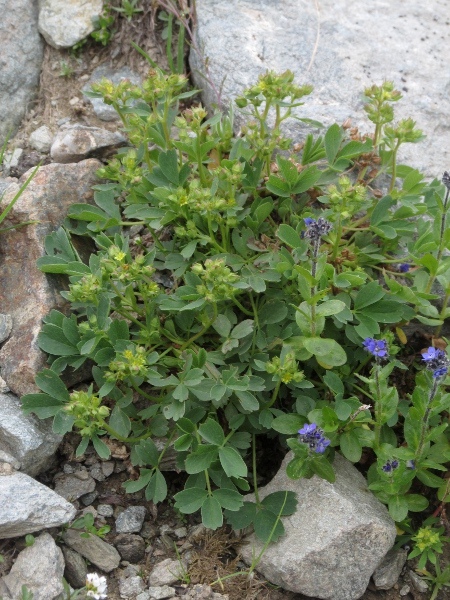 Sibbaldia procumbens is an Arctic–Alpine plant found in the Highlands of Scotland. 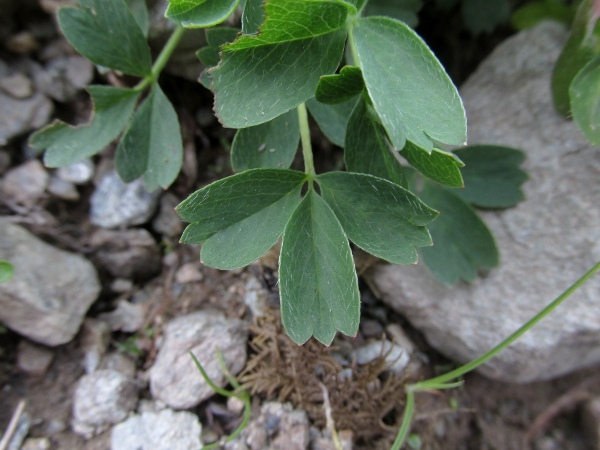 The leaves of Sibbaldia procumbens are trifoliate with each leaflet being three-lobed at the tip, distinguishing it from Potentilla species. 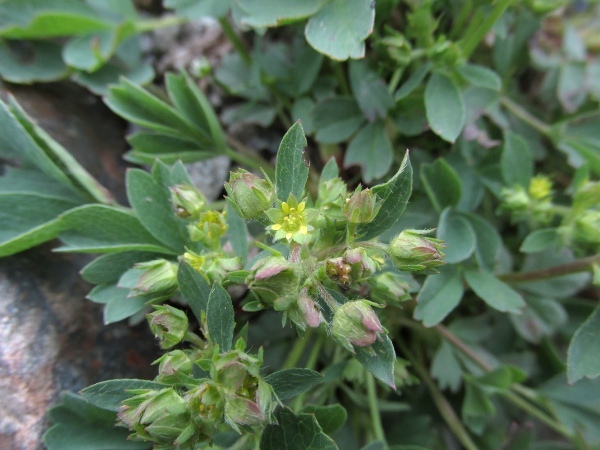 The flowers of Sibbaldia procumbens may have 5 vestigial yellow petals, or they may be entirely lacking. 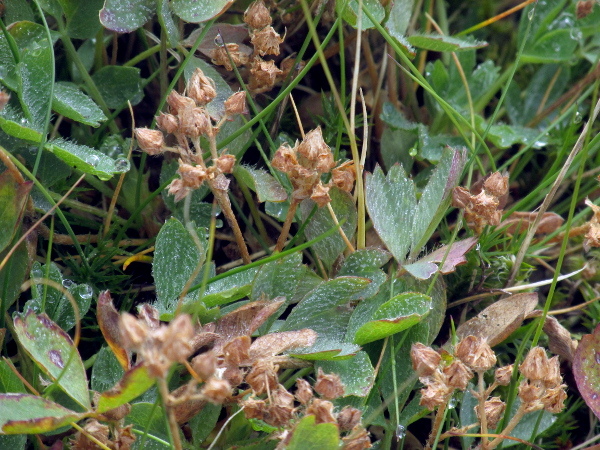 The fruits of Sibbaldia procumbens are small achenes, concealed by the sepals.